Railway Station Cabs in Hyderabad Taxi services in the city are a boon in today's time as these make commuting within and outside the city easy and hassle-free. You can make a cab booking effortlessly and have the ride arrive at your location within no time. This service allows you to book an airport taxi or avail a cab to any location, for work or for outstation travel and sit comfortably enjoying your ride. Under this service, you can choose a car from different categories based on the number of passengers as well as your comfort level. Organizations providing cab services follow strict procedures in hiring drivers to ensure they are efficient and dependable. The taxi drivers are provided training in interpersonal skills to make sure passengers have a pleasant ride. The cabs undergo periodical servicing and maintenance checks to maintain the vehicles in best condition for utmost comfort of travellers. Above is the entire list of all the taxi services in Secunderabad Railway Station-Secunderabad, Hyderabad. Secunderabad Cab Booking Secunderabad falls under the list of the popular places to be visited in India. People travel to this place in large number throughout the year. With easy modes of transportation available like cab or taxi service to reach the Secunderabad, planning for a getaway is never a hectic task. Secunderabad tourism has attractions with various local, sightseeing, and historical places. A perfectly planned trip will help you to cover all the important or must visit locations in ideal time. Ova Car Rentals is the best fit for people opting to travel by a cab or taxi. Offering trust-worthy services, we will assure you that your journey will be pleasant accompanied with the best itinerary. Ova Cabs ensures to offer package rates and deals for your Secunderabad tour based on availability. The most ideal option for people travelling to Secunderabad with friends or family would be to hire a taxi from reliable players in the market as it is comfortable and safe. By booking a cab to Secunderabad, you can be well assured of reaching your place in optimal time, within a budgeted cost and most important of all, stress free and relaxed journey. 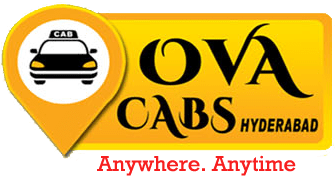 Ova Cabs's booking interface is user friendly and will let you complete your Secunderabad cab booking with ease in just a couple of clicks. Booking a taxi to Secunderabad will ensure a comfortable and safe journey for the entire group. And, all this will be done in the most reasonable cost and with full transparency. Through Ova Cabs, you can do Secunderabad taxi booking quickly with assurance of best deals and best in class services. We maintain all categories of taxis, be it sedan, MUV or hatchback. Along with this, a truly remarkable experience is assured as our drivers are experts and have polite and humble approach. By taking the services of Secunderabad cabs, you will not only get world class services but also a wonderful trip along with your dear ones. You can easily reach Secunderabad by hiring a cab or bus based on availability. However, the perfect choice for travelling to the town is by hiring Ova Cabs Secunderabad cab services for stress free and comfortable journey. You also have the flexibility of visiting any other location on the way. Since, there are quite a few places which are close to the Secunderabad, you can plan your trip accordingly based on your convenience and requirement of travel. There’s good news for railway riders. In our bid to make your travel experience even more seamless we have introduced Ova Railway Station Booking's through call @ 040-22992299 from Secunderabad Railway Station and Kachiguda Railway Stations. Head to these counters for booking your rides Taxi Services in Kachiguda, Hyderabad at Ova Cab Rentals. Rent a cab In Kachiguda at best Fares. Book online or Call Get Hyderabad Taxi fare from kachiguda railway station to madhapur. kachiguda railway station to madhapur Hyderabad Taxi Fare along with their fare Get lowest Cabs fares in hyderabad by Ova cabs for cabs & taxi service in hyderabad. Ova cabs tariff in hyderabad with its excellent on time service makes it the best cab to hire Railway Station Transfer Taxi, Book Cabs For Railway Transfer Book fast, reliable railway station cabs in Hyderabad City Tour Packages from Kachiguda railway station Get car rentals in Hyderabad for Airport transfer, railway station & Local taxi needs. In a step that could help thousands of passengers, the traffic police and railway authorities are working towards setting up three more pre-paid auto stands at Kachiguda, Begumpet and Nampally railway stations in the coming days. In an order passed about a few days ago, the government asked officials of the Traffic Police Department and South Central Railway (SCR) along with auto unions to form a committee and chalk out modalities to set up the new pre-paid auto stands, mentioned a senior traffic police official, requesting anonymity. Currently, the service is functional at the Secunderabad Railway station. The setting up of new prepaid stands will benefit more than 1.30 lakh railway passengers who commute via the Nampally, Kachiguda and Begumpet railway stations everyday. The Secunderabad railway station alone sees more than 1.50 lakh passengers each day with 250 trains passing by. The prepaid stand there makes travelling for passengers easier, as they do not have to bargain with auto drivers. “The SCR is yet to give names of its members who will be in the committee. Once they do that, the committee will be formed. The auto stands will be run on a contract basis, for which an open tender will be called,” explained the official, further stating that the main aim is to ensure that passengers who reach Nampally, Kachiguda and Begumpet stations are not ‘fleeced’ by auto drivers. “This will also help ensure safety of women, as all details of the travel will be recorded. It saves time for commuters as well,” a Road Transport Authority (RTA) official pointed out. A senior railway official mentioned that the SCR will only provide the space for the stands, and that it will have no role in running them. Currently, about 65,000, 40,000 and 30,000 passengers travel via the Kachiguda, Nampally and Begumpet railway stations respectively. Any passenger can approach us at the prepaid Taxi cab @ 040-22992299 and tell the personnel where he/she wants to go. A booking number will generated and will be sent to your registered mobile number, which comprises the details of the travel and the distance. Based on that and the fares which have been fixed, the amount has to be paid. Minimum fare at the Secunderabad Railway station at the stand is Rs.450, after which Rs.12 is charged per kilometre, said an RTA official, seeking anonymity. The prepaid Cabs services works 24 hours. Though the fares at the prepaid online portal are a little higher than what is charged by the meter, travellers said that having to pay a fixed amount rather than going by tampered meters is a better option. Secunderabad, Hyderabad (Nampally) and Kacheguda railway stations You may choose to hire a cab to Srisailam from Hyderabad city, railway station or airport. You can book a taxi like Indica, Micra, Indigo, Dzire, Etios, Innova, Innova Crysta and luxury cars for your weekend getaway, holiday destination, honeymoon, family outing, pilgrimage etc. You can check the taxi fare and estimated cab cost for Hyderabad to Srisailam trip. If you are looking for Srisailam to Hyderabad taxi services we again will be happy to serve you. The TWIN CITIES jointly have three railway stations, namely Nampally Railway Station, Secunderabad Railway Station and Kacheguda Railway Station. Trains run from all three stations to many of the major cities/capitals of the country almost every day. From any of these three railway stations, taxis/cabs can be hired to reach congress centre (from Secunderabad – INR 550, Nampally – INR 450. and Kacheguda – INR 900). The other option is to take MMTS train to reach Hi-Tech city station. An auto-rickshaw can be taken from there to reach Congress centre. This would cost INR 60.